UMS 5-Cylinder 55cc 4-stroke Radial Gas Engine Including ring muffler. Delivery includes: 1/4-32 spark plugs, ignition and ringmuffler. 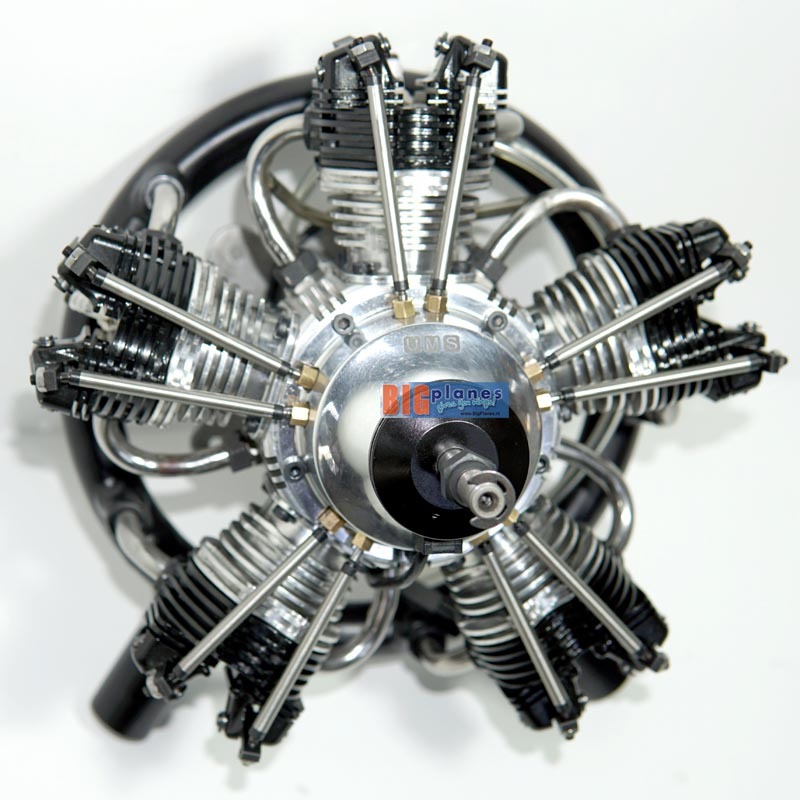 The UMS 5-55 is a new radial engine which uses gas fuel. UMS has a lot of experience building radial engines. It has brought more than 2000 engines to market so far. The design and construction are upper class leading to a outstanding realibility of these engines. They are easily servicebale. All critical parts are easily accessible. 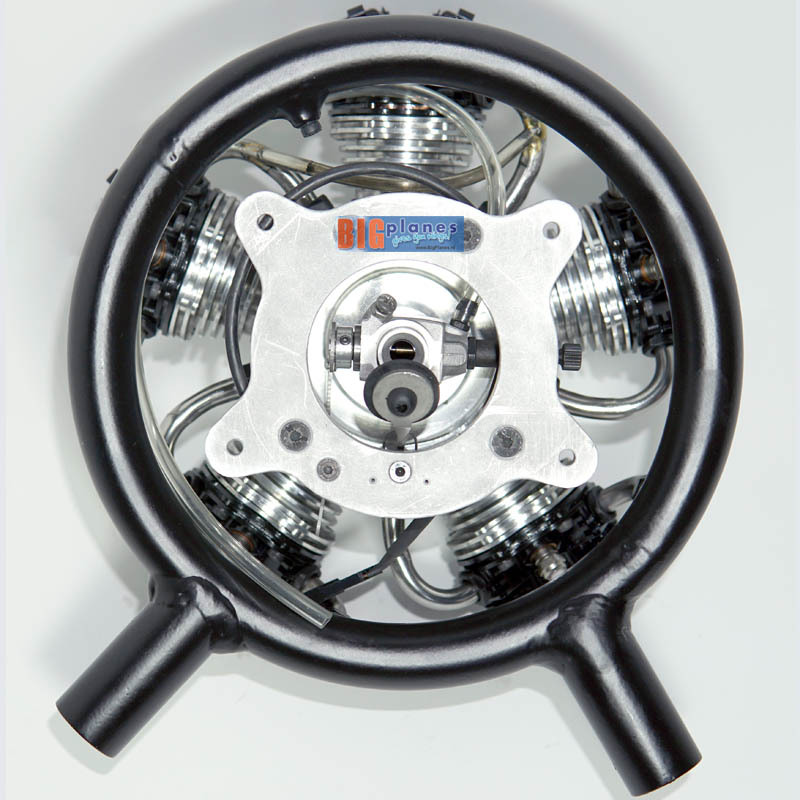 The UMS-5-55cc 4-stroke radial gas engine from UMS is especially developped for scale models.